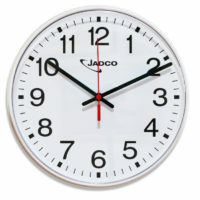 Categories: Analogue Clocks, Electric Clocks. 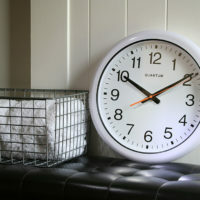 Tags: Analogue electric clock, Electric Wall Clock. 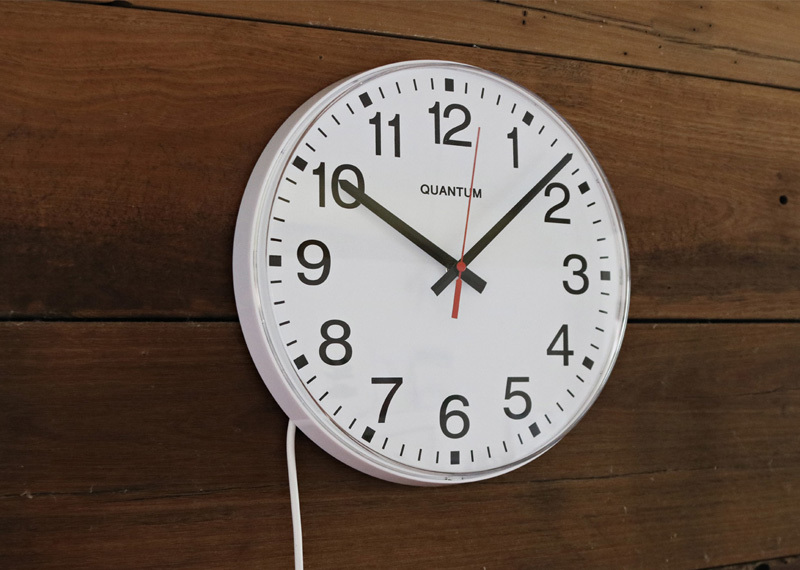 This mains-powered analogue wall clock, with battery back up, has an easy-to-read 300mm dial with large clear numerals with easy to see hour, minute and second hands. 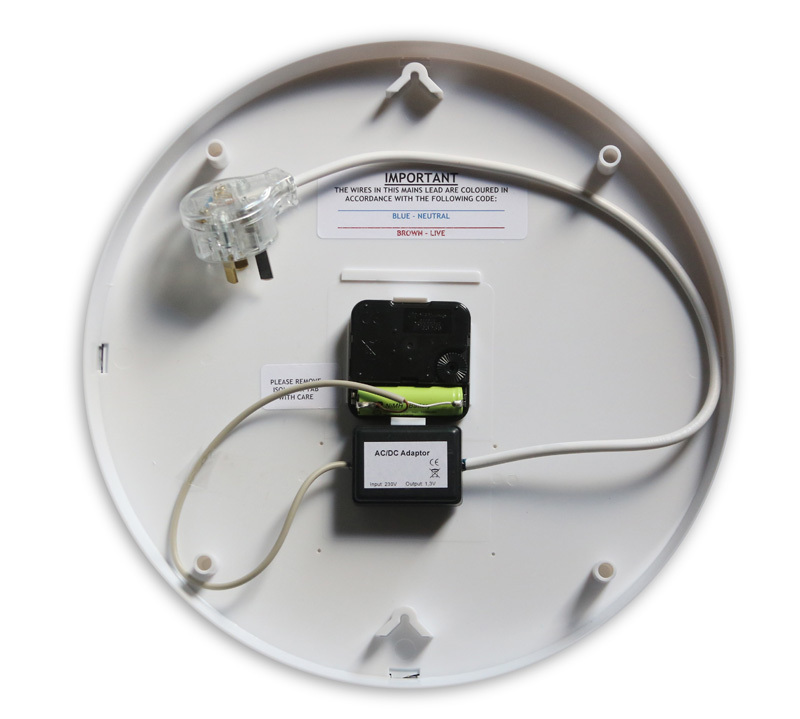 The motor casing on the back is easily accessible for an electrician to hard-wire into mains power.